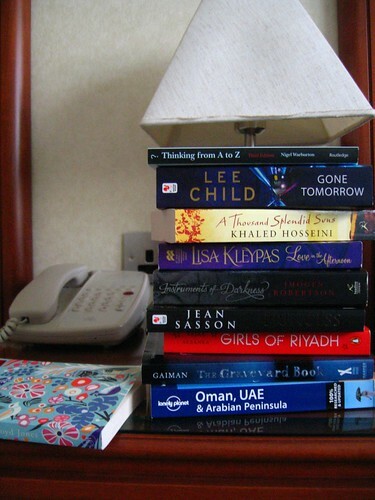 I consider books as part of my travel essentials. I never leave without packing a book or two. When I’m done with them, I replace them with either books from exchange shelves (hostels are great for this) or new ones from the nearest bookshop. This trip, I’ve topped up my reading materials three times altogether. It does create just a wee bit of a problem – I can’t, and usually don’t, bring them home with me. Those I’m done with, I leave behind. This is more for a practical reason than me not loving the books. For one, I travel light so there’s a lack of space to carry all of them back. Secondly, chances are, I may not re-read them again so why not let someone else have it? Thirdly, like many young adults of today, I am renting and if it teaches me anything, it’s that I should not have too much belongings. Each move creates a problem, since I already have more books than clothes right now! A friend reckons I should get a Kindle or an iPad, so I can read ebooks and never have to leave any book behind. He advises, “the gadgets are light, slim and easy to carry everywhere.” But of course, any damage or theft to the gadget means I’ll stand to lose a lot more than just one or two small paperbacks. Besides, I think I’ll feel better if there are less things of expensive nature in my bag. Apart from my laptop, camera and iPod nano, everything else’s two a penny. Without actual books, I would also have nothing to contribute to the book exchange shelves, where present, and I’ll feel really guilty taking one out for nothing in return. What do you think? And what’s your travel dilemma?